We discussed for which indications your treating CRG doctor will opt for intrauterine insemination (IUI), IVF or IVF-ICSI under artificial insemination (AI). AI can be done with your own sperm (of the male prospective parent), but also with donor sperm. The latter is referred to as AID. It is an ART treatment used by single women and lesbian couples. the sperm is introduced past the cervix directly into the uterus, thus bypassing the biggest barrier to sperm. As a result, the chances of fertilisation increase enormously. The chances of success depend largely on the nature of your fertility problem. If the problem is due to the sperm's inability to pass the cervix, or due to unexplained reasons, the chances of success are around 10 to 11% per menstrual cycle. 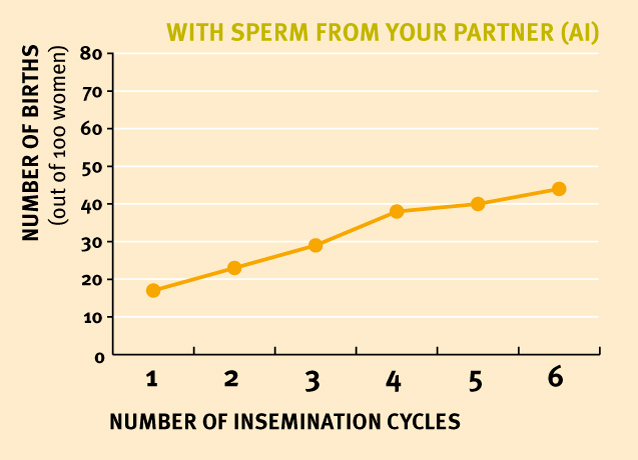 If it is a question of sperm quality, the chances are around 7-10% per cycle. The latter explains why the chances of fertilisation are greater using donor sperm than with own material. Donor sperm is subjected to a strict selection process. It is always top quality. 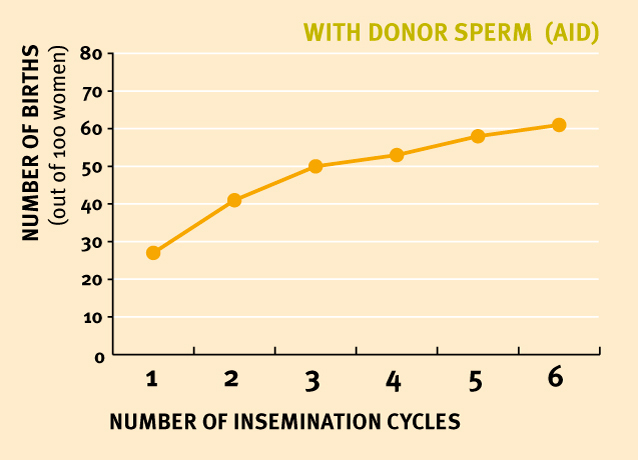 The success rate with donor sperm amounts to approximately 11 per cent per menstrual cycle. If you are still not pregnant after 6 IUI cycles, further medical investigation is needed. Sometimes IVF or IVF|ICSI offer a solution - possibly after carrying out more tests. 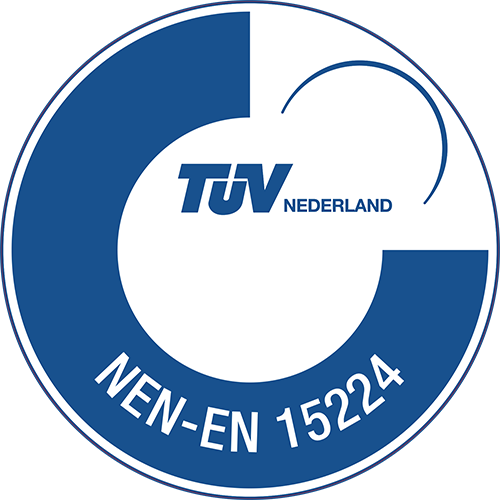 amount to 61% within the six cycles in case of AID. For women older than 37 the percentages for both AI and AID are significantly lower.